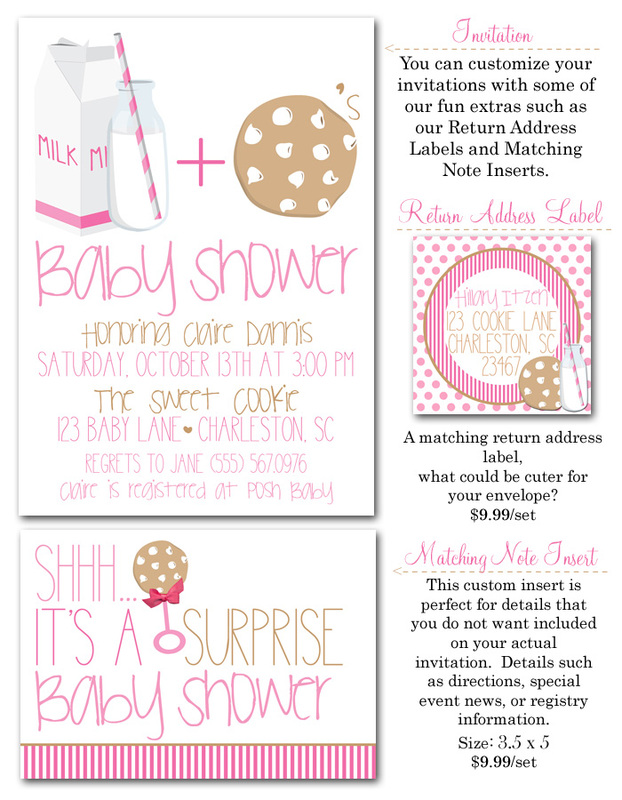 Jackie Fo: Milk and Cookies Baby Shower! Lauren's got a sweet tooth and loves her some cookies, so picking a cookies and milk theme was a no-brainer. The party decor was really simple but cute. I found pink wire containers and a few wooden crates to resemble milk crates to prop up the cookies. Per my latest stamp obsession, I used an "It's a girl" stamp for the food identifiers and the napkins. Underneath the banner we placed cookies, mini glasses of chocolate and regular milk and the party favors. The milk had straw flags that matched the invites from Party Box. Pink and white roses were arranged in mason jars wrapped in pink and brown twine. Here's cute Mama Lauren holding up one of her adorable baby outfits! Congratulations to Lauren, Rob and their new bundle of joy coming very soon! I'm dying to try these theme someday. Love the little milk shots!